Home > Campus News > MET presents Carnival! MET League of Colleges presented the ‘Mumbai Times Carnival 2010’ being the solo title sponsor to this annual feature of Maharshtra Times. 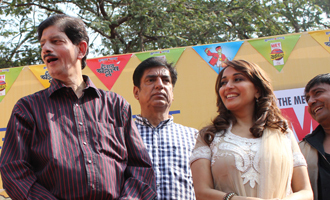 The Carnival was inaugurated by the eminent bollywood celebrities like Madhuri Dixit, Sharman Joshi, Sukvinder Singh just to name a few.